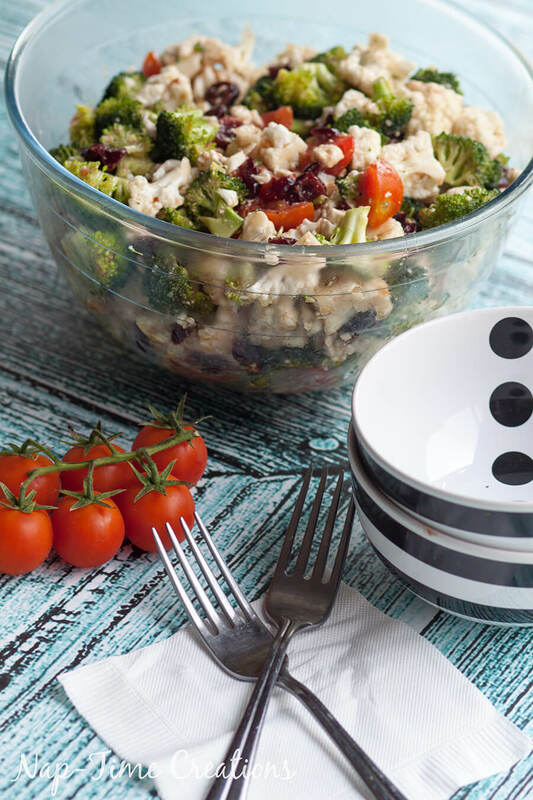 This salad is one I’ve been making since I first got married 12 years ago. I love how fast it comes together and it get so many compliments when I serve it to others. I also love to make it just for us, because then we get lots of leftovers and it’s delicious the next day too! 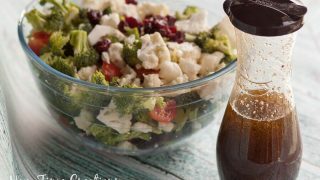 With Broccoli Cauliflower and Feta, tossed in a balsamic vinaigrette dressing, this salad is easy to make and amazing to eat. 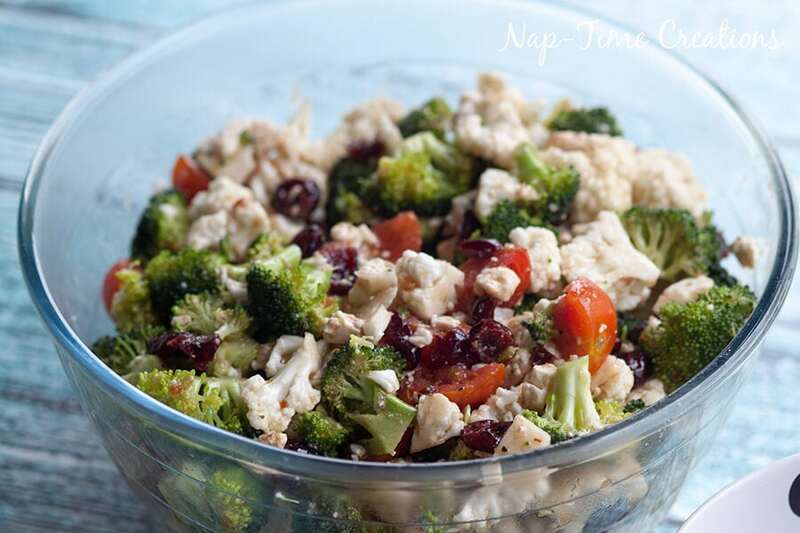 Chop all the veggies to bite size pieces, add the feta, sunflower seeds and craisins. 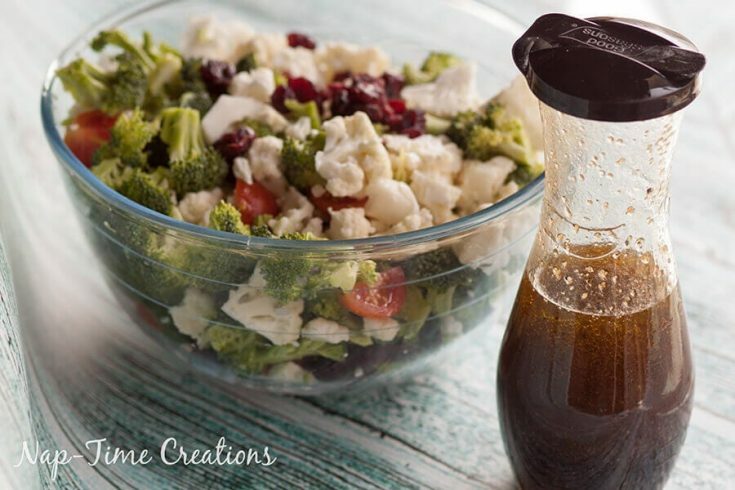 Then pour the balsamic dressing over and mix thoroughly. Chill for at least 1 hour before serving. 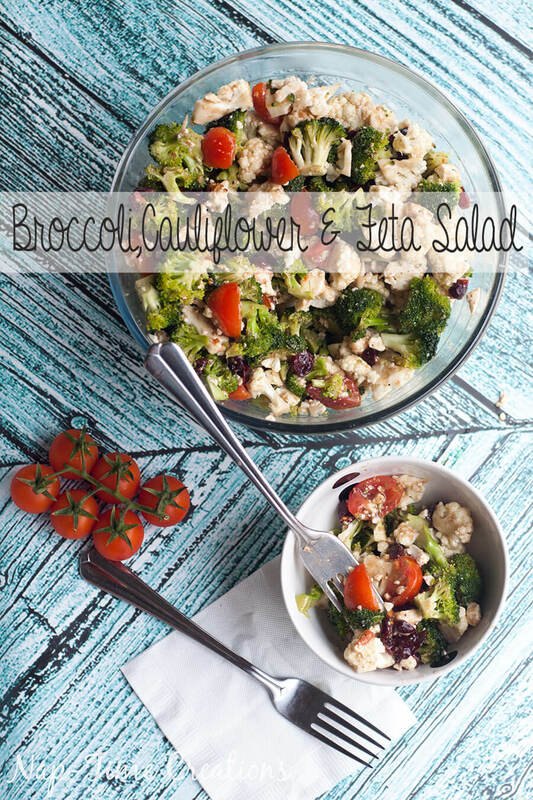 The flavors mix and combine with the perfect combo of salty, sweet and tangy with the veggies. 2 heads broccoli chopped to bite size pieces. 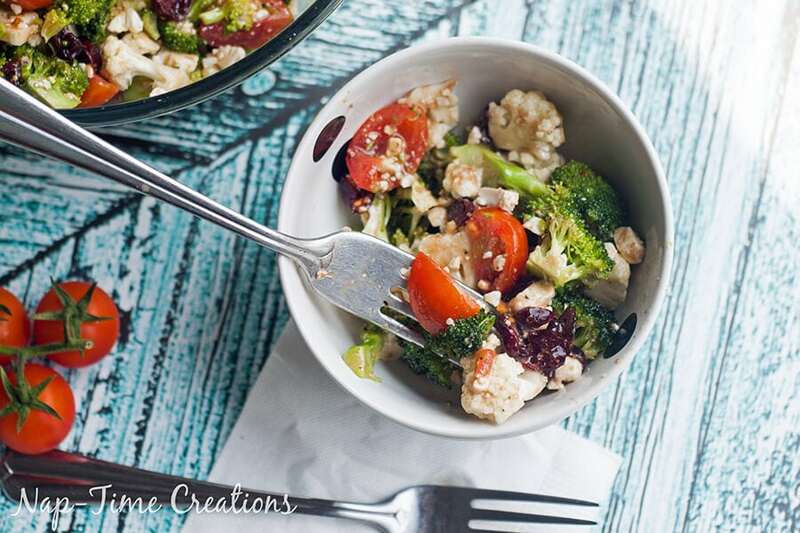 chop veggies and add with all ingredients into a large mixing bowl. Pour dressing over top. Chill for 1 hour. Leftovers are great the next day too! Serve and enjoy! I get asked for this recipe EVERY TIME I make it. Even my kids will eat it, so it’s a win for me. This look so fresh and yummy! What a yummy looking salad! This looks delicious! Pinned and making for sure – thanks for the recipe.